You might be thinking that you already have an appointment system for your carpet cleaning business. You might even think you have a great appointment setting system. There might be bells and whistles with the particular service you have. It might even have been recommended by a close friend or someone from your industry you highly respect. This is all well and good but if your current appointment setting system doesn't remind your customers of their appointments, you won't be making money. That's the bottom line. 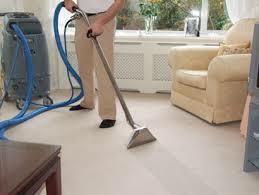 This is the reality many carpet cleaning businesses find out the hard way. You need an appointment reminder service that is reliable. Stop settling for missing slots in your carpet cleaning schedule. 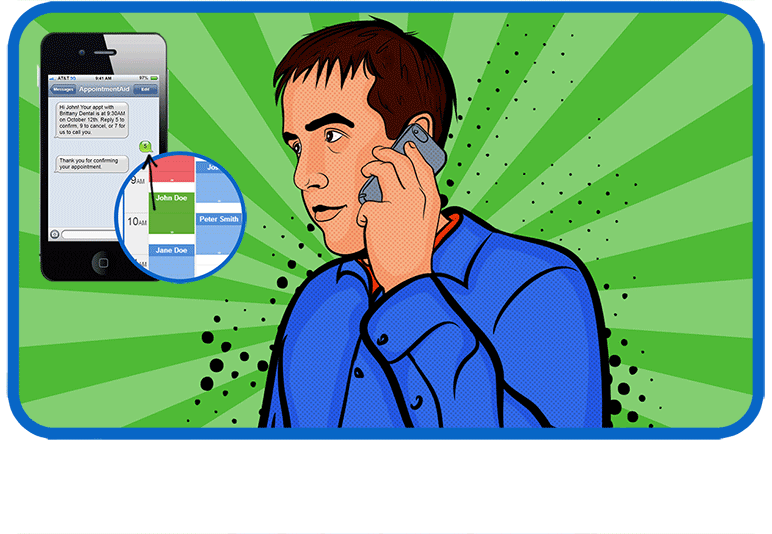 Stop wasting time and gas going out on customer calls only to be met by an empty house. You could have been making money with that time you just wasted. Normally, when small businesses think about business support services, they are thinking of service expenses. They think these necessary costs take money out of their pocket. Well, some of these services might work that way but a proper appointment confirmation service for carpet cleaning businesses can actually put money in your pocket. How? Well, as the old saying goes: a penny saved, a penny earned. 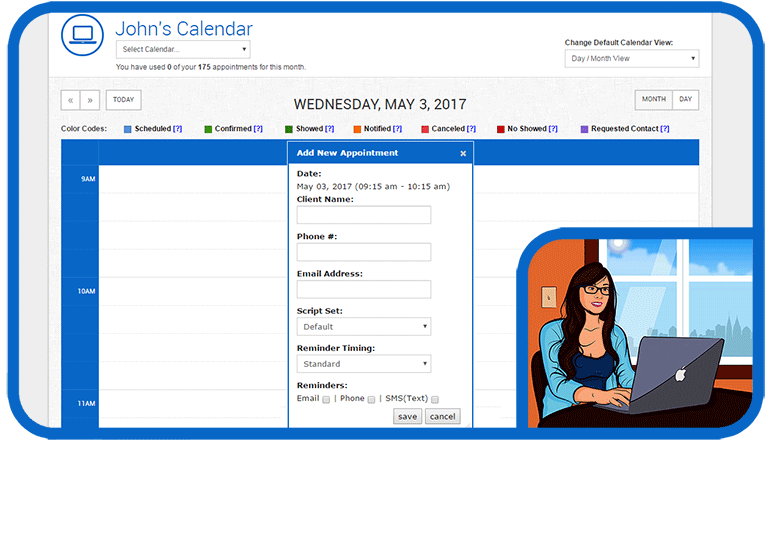 When you use an appointment reminder service, you ensure that your business saves more appointments by reminding customers that they have scheduled a service call with your business. This means less cancellations. This means less wasted time on your part. Also, an appointment reminder service helps you reschedule if the customer realizes he or she can't make the appointment. This saves you money as well. If you want to make money in any type of service business, you have to remember that you are essentially selling your time. The more people use your time, the more money you make. The problem is you can only sell your time to a limited amount of people .This is why every cancellation stings. This is why every missed service call takes money out of your pocket. In fact, you only need to enter your customers' information and contact info and the system takes over the rest. You save money on labor. 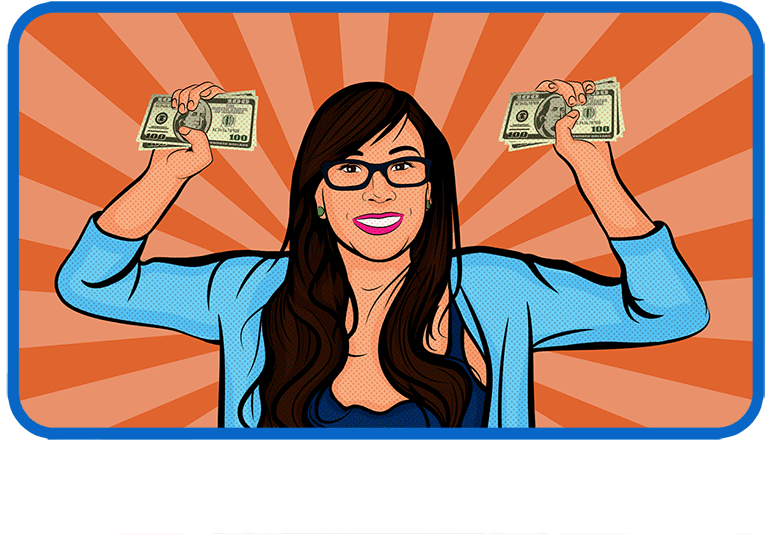 You save money on headaches and hassles. Everything is pretty much automated and you can focus on what you should be focusing on-providing the best carpet cleaning service that boosts customer loyalty. If you want to take your business to a higher level of profitability, you should work on getting less canceled appointments by using an service geared for the type of service business you have. You will only thank yourself later. Instead of having to worry about filling in a canceled spot, you can learn ahead of time and have enough time to fill in cancellations. Compare this to your current stress-filled situation. It doesn't even compare!